- Laser Engraving, Color Printing, Retransfer Printing Graphics Printing, Basic Topcoat, CardGard, UV-Curing Topcoat &DuraGard Laminate. - Quality Assurance, Vision Verification, Bar Code Scanning Technology. - Form Flexibility – Prints up to 11”x17” (A3) size forms. - Pre-printed Form Feeder Module. The system controller software controls the data flow and module operation throughout the personalization process, providing the operator with real-time updates via an easy-to-use graphical interface. 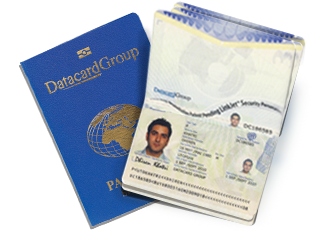 Feeds blank passport booklets into the system with high reliability. Multiple input modules are available for added capacity or for more flexible production options. Automatically open closed passport booklets to a specified page and confirm proper page prior to personalization. 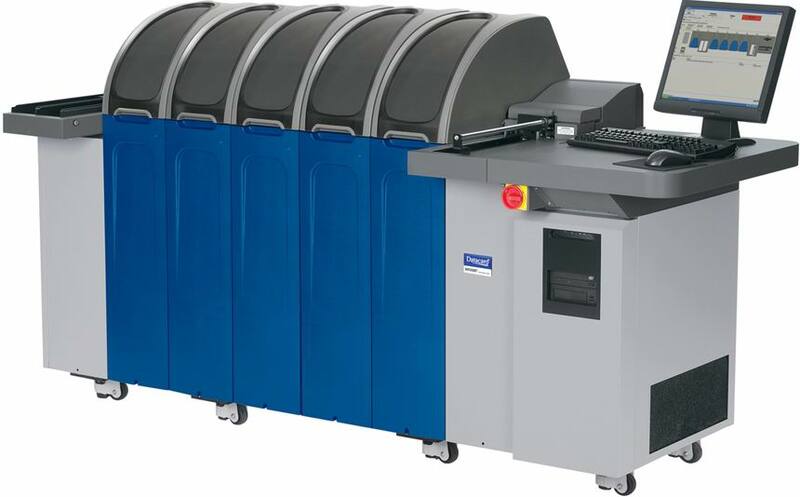 Engrave photos, laser ablated images, tilted laser images (CLI, MLI, 3D photo), text, bar codes, PersoCurv™ security feature, logos and other graphics with speed and precision. Securely program contactless chips embedded within passport booklets. Personalize the paper pages of a passport booklet in color or black-and-white with exceptionally clear and crisp inkjet printing, including the DatacardLinkJet™ security feature. Apply customized passport security overlays. The quality assurance module increases confidence in mission-critical documents by adding automated verification steps prior to passport issuance. Close personalized passport booklets prior to final output. Stack approved and rejected booklets in separate trays.